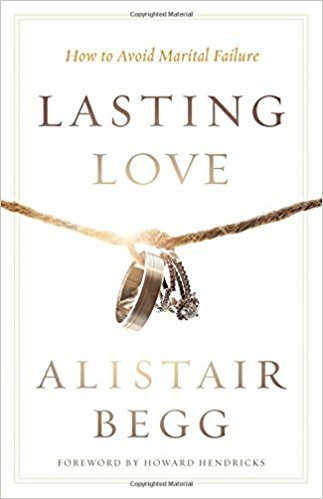 In Lasting Love: How to Avoid Marital Failure, Alistair Begg urges readers to get back to the basics of marriage and examine what the Bible says about it. Originally published in 1997, this book is written for Christians, whether they are married and feeling the love and excitement slip away, or if they are single and just thinking about marriage in the future. Begg says that the Bible gives clear instructions for marriage, and we need to look no further than the Bible to find the solution to our marital problems. He says that we need to reject divorce as an option and put work into bringing love back into the mix. Alistair Begg is an older man, and many things he said were pretty outdated and awful. This is particularly evident in his chapters about gender roles within marriage. He told a story in the book where he told his hairdresser that he would stop giving her his business when she came back to work after having her baby, because he would not support a woman who neglected and abandoned her child. That just really pissed me off and turned me off to the book completely. Some of Begg’s ideas were good, like looking to the Bible for guidance, supporting your spouse, and making an effort to offer frequent encouragement. However, too much of the stuff he said was outdated and, I think, would just be damaging to a marriage instead of helping it. Because of those things, I gave this 2 stars out of 5, and I would not recommend this to anyone.